It is a very exciting and stressful time for me, I found a new place to live, so I will be moving! My mind has been all over the place trying to figure out what my first steps are. When I got ready to show my place, I spent a lot of time de-cluttering so that took a little bit of the pressure off. Now that it is official, it is time to get serious and figure out how do make this transition as stress-free and seamless as possible. I am so nostalgic, I keep everything! Ticket stubs, homemade cards, all my old textbooks, the list goes on and on. Deciding which things truly mean a lot to me, and which things I can probably live without, is the first step to de-cluttering. Donate, sell or keep seems like a simple formula, but you should probably purge more than you think. This is the most common complaint I have heard from my friends when it comes time to move. They waste their money putting furniture in storage, or moving it when it doesn’t work in their new space. Selling all the things that don’t need to make the move will save you time and money. As soon as you know you are going to move start visualizing what you need and don’t need. If you haven’t touched it in over a year, it needs to go. The sooner you start packing, the sooner you will be finished. If it is summer, pack your winter clothes, plan to use only one set of towels or sheets and pack the rest. Try to live as minimalist as you can. Label the boxes by room. 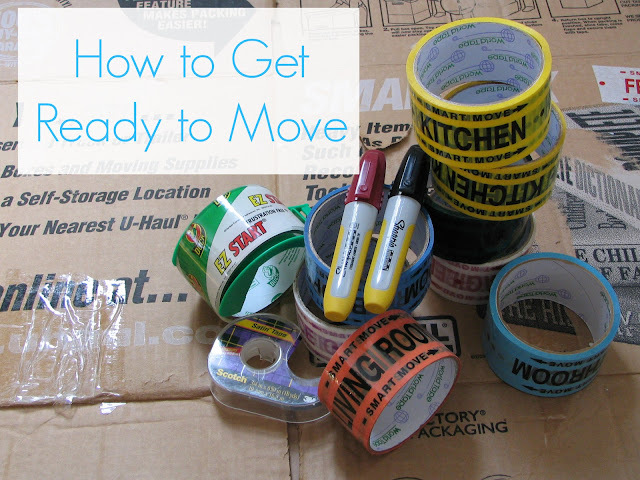 When it comes to the last few items, plan to have a box that you are going to open first and label it. Be sure to include scissors, tooth paste, some cups, some plates, cutlery, anything you may need for your first day of unpacking. Pack a bag with all of your valuables and plan to have it with you when you move. Depending on the size and distance of the move, it may make sense to hire movers. My boyfriend has been raving about Frog Box, a program using reusable packing boxes. They drop them off, you pack and then they pick them up. Uhaul also makes it relatively easy to coordinate your move on your own. Try to get all your ducks in a row before moving day. Call your internet provider, forward your address, and notify any of the people that need to know. Good luck on getting ready for your big day! I would love to know what your best moving tips are!